Last week I worked for the California Raisins at the worlds biggest food trade fair in Cologne, called Anuga. Obviously lots of sneaky raisins-eating was involved, and I have to say: California Raisins taste amazing. They are super moist, not too sweet and best of all: they're all natural, so you don't even have to feel bad about eating a handful. They're also great for baking, as they retain alot of moisture and keep the cookies soft. 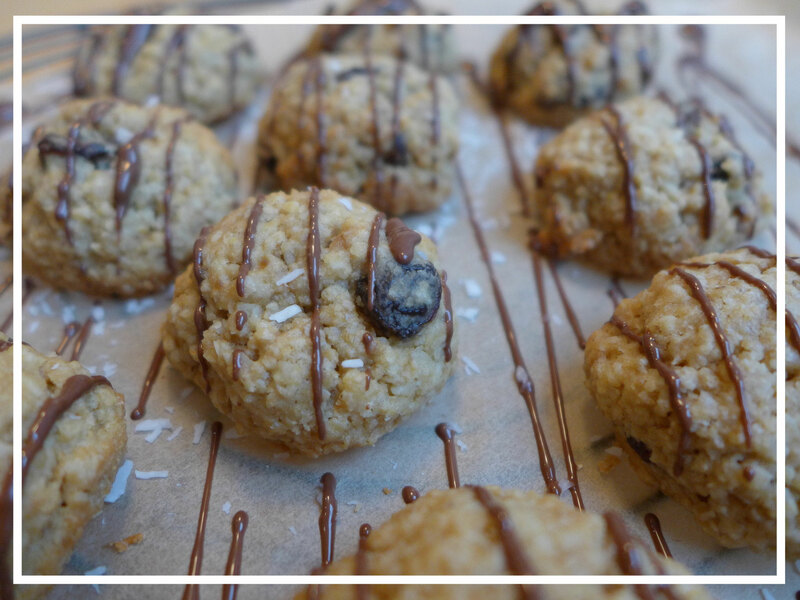 As these cookies also contain oats and grated coconut, I think it's okay to call them health food... delicious health food! I was inspired by a recipe from this book, which my mom gave to me as a gift a few days ago. I did make quite a few changes, though. The result is amazing! These cookies are so soft, sweet and chewy and make the perfect treat to accompany your afternoon coffee. Everyone loved the cookies, and my mom already ordered another batch for christmas! 2. 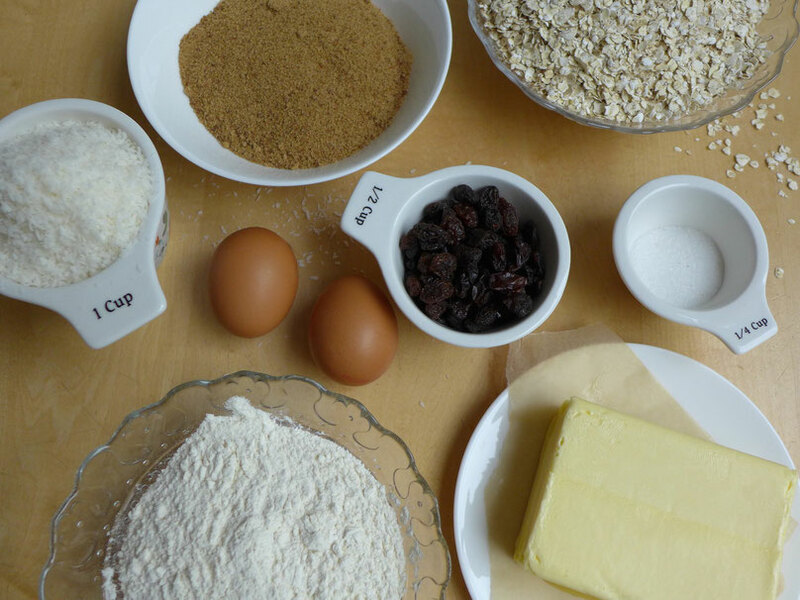 In a bowl, add the flour, baking powder, oats, grated coconut, and salt and combine it with a spoon or a whisk. 3. In a different bowl, cream together the butter, the sugar and the vanilla extract until light and creamy. Use a whisk or a handheld electric mixer. 4. Add the eggs to the butter one by one and mix in until incorporated. 5. Add the dry ingredients to the butter-egg-mixture and mix well. 6. 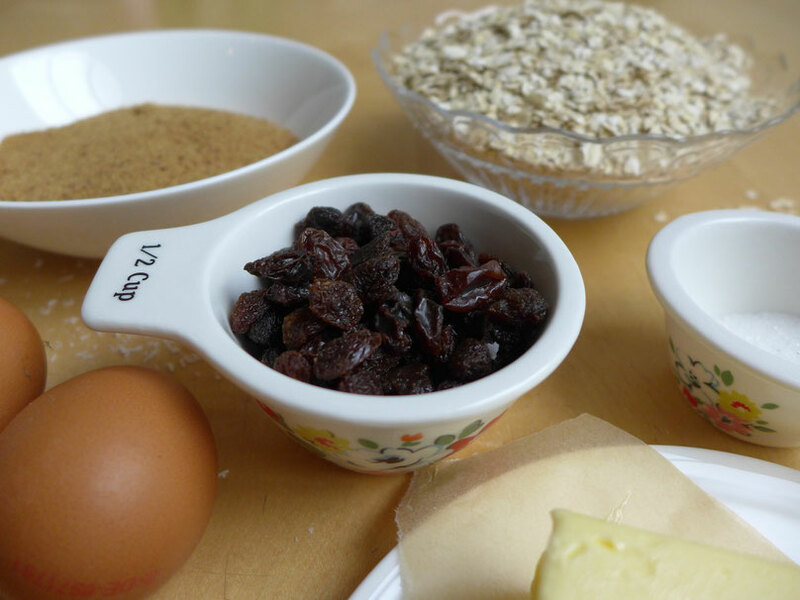 Add the raisins. The dough should be able to stick together. 7. Refrigerate the dough for about 30 mins or longer. 8. Form the dough into balls of about 1-1.5 cm in diameter and put them on a baking tray lined with parchment paper. Leave enough room between the dough ball because the cookies will spread a little. 9. Bake the cookies for about 11-13 minutes. The edges should be slightly golden brown but they should still be soft inside. 10. 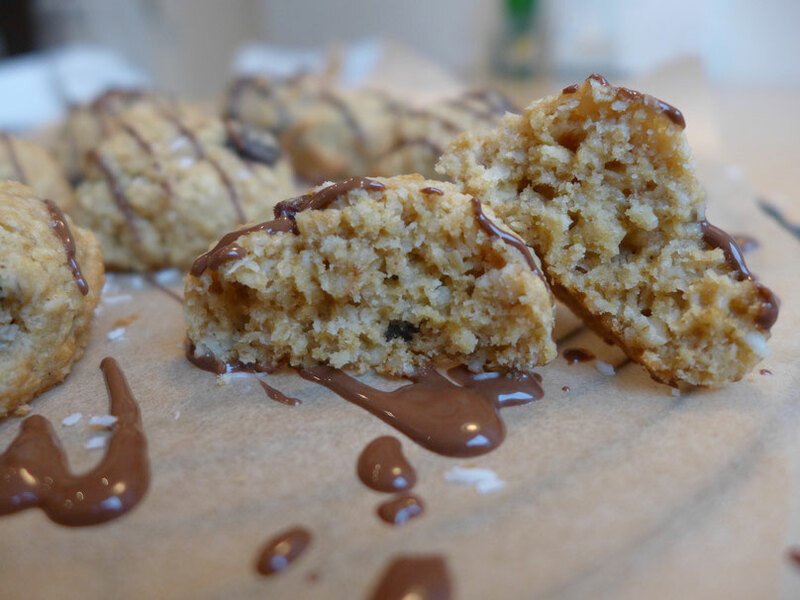 If you like, you can melt some chocolate and drizzle it over the cookies, as soon as they have cooled completely.